This article is about the association football team. For the other teams, see Sporting CP (disambiguation). Founded on 1 July 1906, Sporting is one of the "Três Grandes" (Big Three) clubs in Portugal, along with rivals S.L. Benfica and FC Porto, that have never been relegated from the top flight of Portuguese football, Primeira Liga, since 1934. Sporting are nicknamed Leões (Lions) and Verde e Brancos (Green and Whites). The club's anthem, "A Marcha do Sporting" (Sporting's March), was written in 1955. As of August 2018[update], Sporting has 90,000 members, with around 50,000 being eligible to vote in the club's elections. Sporting are the third most decorated Portuguese football team, with a total of 48 trophies, including one international title, the 1963–64 European Cup Winners' Cup. Domestically, they have won 18 Primeira Liga titles, 16 Portuguese Cups (Taça de Portugal), 4 Championship of Portugal (a record tied with Porto), 2 Taça da Liga and 8 Portuguese Super Cup trophies. Internationally, Sporting are currently ranked 33rd in UEFA club rankings. Sporting Clube de Portugal has its origins in June 1902, when young men Francisco da Ponte, Horta Gavazzo and his brother José Maria decided to create Sport Club de Belas. This club, the first ancestor of Sporting, played just one match and at the end of the year's summer, disbanded. Two years later, the idea of creating a football club was revived, and this time, with the Gavazzo brothers joined by José Alvalade (José Holtreman Roquette) and José Stromp: a new club, the Campo Grande Football Club, was founded. 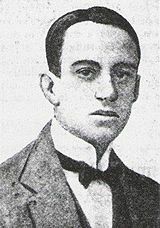 They played their matches on the estate of the Viscount of Alvalade (Alfredo Holtreman), José Alvalade's grandfather, with the club's headquarters located in Francisco Gavazzo's home. Alfredo Holtreman, Viscount of Alvalade was the first President, sponsor and protector of Sporting. For two years, the club developed an intense activity on several sports, namely football, tennis and fencing. The club also organized parties and picnics. Eventually, during one picnic, on 12 April 1906, discussions erupted, as some members defended that the club should only focused on organizing picnics and social events, with another group defending that the club should be focused on the practising of sports instead. Some time later, José Gavazzo, José Alvalade and 17 other members left the club, with the latter saying, "I am going to have with me my grandfather and he will give me the money to make another club." As such, a new club, Sporting Clube de Portugal, was founded. The Viscount of Alvalade, whose money helped found the club, was the first president of Sporting. José Alvalade, as one of the main founders, uttered on behalf of himself and his fellow co-founders, "We want this club to be a great club, as great as the greatest in Europe." Three months later, on 1 July 1906, António Félix da Costa Júnior suggested the name Sporting Clube de Portugal, and this date is considered the official day Sporting was founded. The year 1907 marked some "firsts" for the club, as Sporting played the first football match of their history on 3 February, ending in a 5–1 defeat against third division club Cruz Negra; inaugurated their first ground, known as "Sítio das Mouras" (the most advanced in Portugal at the time, equipped with showers, two tennis courts, an athletics track and a football field) on 4 July; and played the first derby of all time against local rivals S.L. Benfica (then known as Grupo Sport Lisboa) on 1 December. The football team had their height during the 1940s and 1950s. It was spearheaded by Fernando Peyroteo, José Travassos, Albano Pereira, Jesus Correia and Manuel Vasques, in a quintet nicknamed "The Five Violins". With the violins' help, Sporting won seven league titles in eight seasons between 1947 and 1954, including a then unprecedented four in a row from 1950 to 1951 onwards. Fernando Peyroteo, the most known of "the violins", is considered one of the greatest Portuguese players of all time. Sporting and the Yugoslavian team Partizan both made history on 4 September 1955, as they played the first-ever UEFA Champion Clubs' Cup match. Sporting player João Martins scored the first-ever goal of the competition, on the 14th minute. The match ended in a 3–3 draw. Sporting also inaugurated their new venue, José Alvalade Stadium, on 10 June 1956, which would be their home ground until 2003. In the 1960s, Sporting achieved continental success, winning the 1963–64 UEFA Cup Winners' Cup, defeating MTK Budapest of Hungary in the final. It was the only time a Portuguese team side won a UEFA Cup Winners' Cup title. The team entered the competition defeating Atalanta in the qualifying round, then past Cypriot club APOEL in what was the biggest win in a single UEFA competitions game to date: 16–1, a record that still stands today. On the next round, they lost 4–1 to Manchester United at Old Trafford in the first hand, but made a remarkable comeback at home, winning 5–0. In the semi-finals, Sporting eliminated Lyon, and in the end MTK Budapest, in a two-round final to win their first European title. The winning goal was scored by João Morais from a direct corner kick. The club reached the semi-finals of the Cup Winners' Cup in 1974, but lost to eventual winners 1. FC Magdeburg of East Germany. English manager Malcolm Allison arrived at Sporting in 1981, and under his guidance the club won the domestic double (league title and Portuguese cup), in 1982. In the years between 1982 and 2000, Sporting suffered from a drought of titles. Despite defeating rivals Benfica 4–0 on aggregate to win the Portuguese Super Cup in 1987, Sporting fans had to wait until 1995 to see their team win some silverware after beating Club Sport Marítimo 2–0 in the final of the 1995 Portuguese Cup. That victory granted Sporting a place in the following season's Portuguese Super Cup. After drawing 0–0 at José Alvalade Stadium and securing a 2–2 draw at Estádio das Antas, a replay match was held on 30 April 1996 at the Parc de Princes in Paris. Sporting won 3–0 with Sá Pinto scoring twice and Carlos Xavier scoring a stoppage time penalty. In the same 1995–96 season, Sporting also reached the Portuguese Cup Final but lost 3–1 to Benfica. In 2000, Sporting, led by manager Augusto Inácio (a former Sporting player, who replaced Giuseppe Materazzi at the beginning of the season), won the league title on the last match day, with a 4–0 victory over Salgueiros, ending an 18-year drought. In the following season, Sporting conquered the 2000 Super Cup but came third in the league. In the 2001–02 season, led by coach László Bölöni, Sporting conquered their 18th league title, the Portuguese Cup and the 2002 Portuguese Super Cup. On 21 June 2002, the club had opened its training facility, located in Alcochete, 30 km east of Lisbon. Sporting have failed to win Primeira Liga again since 2002. In the 2004–05 season, José Peseiro-led Sporting was leading the Primeira Liga and was trailing a remarkable journey in UEFA Cup. However, at the end of the season, the team eventually lost all the chances of winning any trophy that season: the first set-back had already happened on 26 January 2005 when Sporting was eliminated from Taça de Portugal after losing 7–6 on penalties against Benfica. Nevertheless, Sporting was able to reach the leadership of Primeira Liga, and on 5 May the team booked their second European final, after defeating Dutch team AZ Alkmaar in UEFA Cup. While awaiting the Final, on 14 May, Sporting lost its penultimate match in Primeira Liga against SL Benfica and dropped to third place. By the end of the season, the team eventually finished 2004–05 Primeira Liga in that place. Lastly, playing the 2005 UEFA Cup Final at their home ground, on 18 May, Sporting lost 1–3 against Russian side CSKA Moscow, after being 1–0 up at halftime. Domestically, Sporting had back-to-back wins in the Portuguese Cup in 2007 and 2008 (led by coach Paulo Bento). The club almost reached another European final in 2012, but were dropped out of the competition by Athletic Bilbao, in the semi-finals of the 2011–12 Europa League. Sporting also reached, for the first time, the knockout phase of UEFA Champions League, in the 2008–09 season, but were roundly defeated by FC Bayern Munich, with an aggregate loss of 12–1. This is widely regarded as one of the lowest points in the history of the club. After years of financial mismanagement, Sporting had amassed debts exceeding €276 million by 2011. The results on the pitch were also negative, with Sporting finishing seventh in the 2012–13 Primeira Liga, their lowest finish ever. Managerial changes occurred within months or weeks apart: from November 2009 to May 2013, nine managers were contracted, with none of them lasting an entire season. In 2013, after pressure from club members, president Godinho Lopes resigned, and shortly afterwards, Bruno de Carvalho was elected president in a snap election. Carvalho's intentions were to renegotiate the club's debt payment schedule with the banks involved – who by now have pardoned Sporting in millions of euros – and to return success to the football team, while threatening to take Godinho Lopes to court. Carvalho's election brought Angolan investors to the club, most notably Álvaro Sobrinho, through Holdimo, which holds 20 million shares of Sporting's SAD. On 5 June 2015, it was released an audit that analyzed the management of Sporting in the past 20 years: it concluded that in 1994 the club had €55 million worth of real estate assets and an almost nonexistent debt; by 2013, real estate assets were almost nonexistent, and the club had amassed a €331 million debt. Their new stadium (completed in 2003) cost 74% more than what was expected when its construction started (€184 million against the planned €106 million), while their training facility cost 24% more, and the costs of Alvalade XXI neighbourhood, a real estate complex located around the stadium, overshooted in 60%; such complex was almost entirely sold in the following years, many estates of which were sold below market prices. From 1995 to 2013, the club invested €261 million in the football team, however, with few sports and financial results. The audit criticized many football transfers in the 2000s, in which the club paid commissions well above market prices to player agents, and discovered that Sporting even had paid commissions without evidence of written contracts. The audit also concluded that the administrations from 1995 to 2013 intended to convert Sporting, a multi-sports club, exclusively into a football club – although they did not openly admitted so – which was being done gradually through the closure of other sport modalities. Moreover, the audit also pointed out evidence of mismanagement and conflicts of interest by several administrators. Considering the audit's results, club members approved the expulsion of Godinho Lopes as an associate of the club in June 2015. Led by coach Leonardo Jardim in the 2013–14 season, Sporting finished second in the league, thus gaining direct access to the 2014–15 UEFA Champions League, their first Champions League presence in five years. In the 2014–15 season, Sporting won their 16th Portuguese Cup in dramatic fashion. The Lisbon side, led by Marco Silva, played the final against Braga, and after a disastrous start, found themselves losing 0–2 at half-time and playing with ten men after the sending-off of Cédric Soares. With the final seemingly lost, Islam Slimani gave some hope to the fans as he scored the 1–2 on the 83-minute. In stoppage time, Fredy Montero managed to equalize, forcing extra-time. Sporting ultimately won the match 3–1 on penalties. Celebrations ended in a pacific pitch invasion of Estádio José Alvalade by the fans, as the club touched silverware for the first time in seven years. In June 2015, Jorge Jesus joined Sporting after Benfica opted not to renew his contract as coach of the club, signing a three-year contract. Presented as the new manager of the club on 1 July, the managerial change took the rivalry of both Lisbon clubs to new heights. Under Jesus' tenure, Sporting won the Portuguese Super Cup for the eighth time, against back-to-back champions Benfica. Despite a positive start, Sporting did not win any other trophy, finishing second in the Primeira Liga with 86 points, two points behind Benfica, despite breaking their own points record in the league. Following a trophyless season, Sporting won their first Taça da Liga on a penalty shoot-out against Vitória de Setúbal. However, on 15 May, days after finishing third in the league, several players and coaches were attacked by around 50 supporters of Sporting at the club's training ground. Five days later, Sporting lost the Portuguese Cup final to Aves. About a month later, following the rescissions of nine players, Bruno de Carvalho was dismissed by club members after a general assembly on 23 June. Since its formation, on 1 July 1906, Sporting has had six crests, all of which have included the color green and the lion. The current crest was adopted in 2001. There were also the special anniversary crests to celebrate the 50th (1956) and 100th (2006) anniversaries of the club. These weren't actually worn in kits during matches, but were used as emblems by fans. Sporting's main rivals are Benfica, with both teams contesting the Lisbon derby, also known as "the eternal derby", among other names. The local rivalry started in 1907 when eight Benfica players left to Sporting looking for better training conditions. The first derby was contested that year and ended with a 2–1 win for Sporting. One of Sporting's biggest defeats to Benfica, 7–2, happened at the original Estádio da Luz on 28 April 1948, as well as three 5–0 losses, in 1939, 1978 and 1986. The biggest Sporting win over Benfica, 7–1, occurred at the original Estádio José Alvalade on 14 December 1986. Manuel Fernandes was particularly inspired and scored four goals; Mário Jorge two and Ralph Meade one; Wando scored for Benfica. Before the start of the 1993–94 season, Sousa Cintra, then president of Sporting, took advantage of Benfica's financial crisis by signing Paulo Sousa and Pacheco, who had terminated their contracts with the latter club. This event became known as "Verão Quente" (Hot Summer). Later, on 14 May 1994, a memorable derby was played at the old José Alvalade Stadium, crowded to the top, as winning the derby could be a decisive step for Sporting in trying to regain the title, which by that time they had not won for 12 years. Sporting were considered the favourites, with a squad composed by Luís Figo, Paulo Sousa, Krasimir Balakov, Ivaylo Yordanov, Emílio Peixe, Stan Valckx, and others; therefore, Benfica were seen as the underdogs. However, Benfica defied the odds and won the match 6–3 and went on securing the league title weeks later, leaving Sporting empty-handed in one of the most dramatic seasons in their history. Two years later, the rivalry continued intense with a dramatic incident in the 1996 Portuguese Cup final, which Benfica won 3–1. After the latter scored the first goal, a supporter of the club lit a flare which eventually struck a Sporting fan in the chest, killing him instantly. Eight years later, on 3 May 2004, Geovanni's winning goal for Benfica in the 87th minute at Alvalade caused a pitch invasion by Sporting fans. In November 2011, after a 1–0 loss to Benfica at the Estádio da Luz, Sporting supporters set fire to one of the stands of the stadium. Four years later, during a derby at Estádio José Alvalade, an official supporters' group of Sporting, Juve Leo, showed a banner with the inscription "Sigam o King" ("Follow the King"), in reference to Eusébio's death a month before. Four days later, in a futsal derby, members of No Name Boys, one of Benfica's unofficial supporters' groups, showed a banner saying "Very Light 96", in reference to the 1996 incident. Sporting also has a rivalry with FC Porto. Despite the rivalry, both clubs have formed an alliance against Benfica. In Lisbon, the new stadium, Alvalade XXI ("Estádio José Alvalade"), was built for UEFA Euro 2004, hosted by Portugal. Designed by Tomás Taveira, it was inaugurated on 6 August 2003. The opening match was a 3–1 victory over Manchester United. The stadium was awarded a 'five-star' certificate at 2005 UEFA Cup Final by then UEFA president Lennart Johansson. The stadium has a capacity of 50,095 spectators. Sporting's youth academy system helped develop Ballon d'Or recipients Luís Figo and Cristiano Ronaldo. In the victorious campaign of Portuguese National Team in the Euro 2016 10 out of the 14 players who played the final against France were players "made in Sporting". Moreover, at the 2018 FIFA World Cup Sporting CP had 14 players that came through their youth system, making it the most represented youth academy system in the tournament followed by FC Barcelona with 11. The Portuguese League top scorer was awarded the Silver Shoe from 1934 to 1935 until 1951–52. Since the 1952–53 season, the sports newspaper A Bola awards the Silver Ball prize. Jornal Sporting is a weekly newspaper published by Sporting. 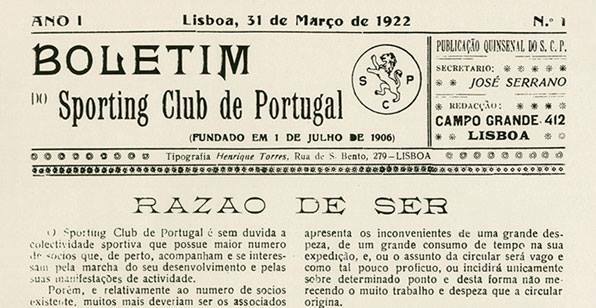 Beginning its activity as Sporting Club of Portugal Bulletin on 31 March 1922, it was initially an eight-page calendar, with the optional payment of $2 a semester. Under the direction of Artur da Cunha Rosa, the bulletin became known as a newspaper in June 1952. Sporting TV is the television channel of Sporting. Open channel, the channel is present in the private operators MEO and NOS, in channels 34 and 35, and in Angola, through the operator ZAP. The channel broadcasts several sporting events linked to Sporting. Inaugurated on 31 August 2004, Sporting Museum is divided into several thematic areas that express the wealth of the club's heritage and its sporting achievements over more than a century of existence in thirty-two different modalities. About two thousand trophies are on display, and there are many others in store. The history of the museum dates back to the trophy room of the old headquarters on Rua do Pasadinho, where in 1956, 1850 trophies were already stored. In 1994, President Sousa Cintra inaugurated a new trophy room, where less than half of the club's collections were exhibited. The following year the remodeling and organization of the museum is promoted, and a conservative is incorporated. During the construction of the new Estádio José Alvalade a new museum is inaugurated, culminating in four years of investigation. Throughout the years, through donations with several origins, in addition to the trophies the patrimony of the club never stopped growing. In July 2016, there was a new inauguration after a total renovation. ^ Laranjo, Tânia (27 August 2018). "Bruno de Carvalho inventou 80 mil sócios no Sporting" [Bruno de Carvalho made up 80 thousand Sporting members]. Correio da Manhã (in Portuguese). Retrieved 27 August 2018. ^ "Sporting Clube de Portugal UEFA Profile". UEFA.com. Retrieved 23 December 2015. ^ "Member associations – UEFA rankings – Club coefficients". UEFA.com. 25 August 2017. Retrieved 26 August 2017. ^ "Museum featured areas". Sporting CP. Retrieved 7 December 2015. ^ a b "Resumo Histórico" [Historical Summary]. Sporting Clube de Portugal. Retrieved 22 September 2018. ^ Sporting Clube Portugal – Fotobiografia por Rui Guedes. Lisbon: Publicações Dom Quixote. 1988. pp. XVII–XIX. ^ a b "Histórias do campeonato: 2200 jogos de Benfica, FC Porto e Sporting". www.zerozero.pt. Álvaro Gonçalves. 22 August 2013. Retrieved 26 December 2015. ^ "O dia em que os cinco violinos marcaram 12 golos (The day the five violins scored 12 goals)". www.maisfutebol.iol.pt. Sara Marques. 16 February 2015. Retrieved 22 December 2015. ^ "Cristiano Ronaldo is not Portugal's greatest ever player. This man is (Fernando Peyroteo)". Retrieved 30 November 2015. ^ "Better than Messi, Pele, Muller: How Cristiano Ronaldo's scoring stacks up". www.fourfourtwo.com. Chris Flanagan. 19 October 2015. Retrieved 22 December 2015. ^ "When Sporting and Partizan broke new ground". www.uefa.com. 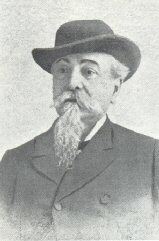 José Nuno Pimentel. 4 September 2015. Retrieved 22 December 2015. ^ "1963/64: Sporting at the second attempt". uefa.com. 1 May 1964. Archived from the original on 29 June 2010. ^ "1963/64: Sporting at the second attempt". UEFA.com. 2001-08-17. Archived from the original on 19 May 2008. Retrieved 2015-11-24. ^ "Malcolm Allison (1927–2010), o treinador que gostava de viver para lá do futebol". www.publico.pt. Marco Vaza. 16 October 2010. Archived from the original on 6 December 2015. Retrieved 26 December 2015. ^ "1990/91: Matthäus makes the difference for Inter –". Uefa.com. Retrieved 2012-11-16. ^ uefa.com. "UEFA Europa League 1994/95 - History - Matches – UEFA.com". ^ uefa.com. "UEFA Europa League 1986/87 - History - Sporting CP – UEFA.com". ^ "LE: At. Bilbao-Sporting, 3–1 (crónica)". www.maisfutebol.iol.pt. 26 April 2012. Retrieved 23 December 2015. ^ "Sporting sofre humilhação histórica". www.jn.pt. Rui Miguel Melo. ^ Tavares, Isabel (27 July 2015). "Sporting. Soares Franco pode ser o senhor que se segue na lista das expulsões". www.ionline.pt. Archived from the original on 23 December 2015. Retrieved 23 December 2015. ^ "O pior Sporting de sempre". desporto.sapo.pt. Eduardo Santiago. 20 May 2013. Retrieved 23 December 2015. ^ "Paços de Ferreira deixa Sporting a um ponto da zona de despromoção". www.publico.pt. Paulo Curado. 5 January 2013. Retrieved 23 December 2015. ^ "Godinho Lopes demite-se na terça-feira (Godinho Lopes resigns on Tuesday)". desporto.sapo.pt. 3 February 2013. Retrieved 23 December 2015. ^ "Sporting 2013: Guerra e Paz". www.vavel.com. Bruno Gomes. 26 December 2013. Retrieved 23 December 2015. ^ "Bruno de Carvalho é o novo presidente do Sporting (Bruno de Carvalho is the new president of Sporting)". www.publico.pt. Jorge Miguel Matias e Tiago Pimentel. 20 March 2013. Retrieved 23 December 2015. ^ "Bruno Carvalho confirmado presidente do Sporting". expresso.sapo.pt. Bruno Roseiro. 26 March 2013. Retrieved 23 December 2015. ^ "Vamos devolver a paz ao Sporting". desporto.sapo.pt. João Paulo Godinho. 26 March 2015. Retrieved 23 December 2015. ^ "Bruno de Carvalho ameaça Godinho Lopes com tribunal". www.publico.pt. Nuno Ferreira Santos. 20 February 2013. Retrieved 23 December 2015. ^ "Interview: "O Sporting merecia outros candidatos e eu merecia outros adversários"". www.publico.pt. Paulo Curado. 22 March 2013. Retrieved 23 December 2015. ^ Cavaleiro, Diogo (21 June 2013). "Investidores angolanos são os novos accionistas do Sporting" [Angolan investors are the new shareholders in Sporting's SAD]. Jornal de Negócios (in Portuguese). Retrieved 30 April 2018. ^ Cavaleiro, Diogo (17 December 2016). ""Burocracias" da CMVM obrigam Sporting a divulgar posição de Sobrinho" [CMVM "bureaucracies" force Sporting to disclose Sobrinho's position]. Jornal de Negócios (in Portuguese). Retrieved 30 April 2018. ^ a b c d Santos Guerreiro, Pedro (27 June 2015). "Auditoria à gestão do Sporting implica ex-gestores" [Audit to Sporting's management implicates former administrators]. Expresso (in Portuguese). Retrieved 5 June 2018. ^ Pombo, Diogo; Dinis, David (27 June 2015). "Derrapagens nos custos, contratos sem papel e comissões pagas: o que os sócios do Sporting vão saber" [Overshootings, unwritten contracts and paid commissions: what Sporting's associates will know]. Observador (in Portuguese). Retrieved 5 June 2018. ^ Cabral, Mariana (27 June 2015). "Auditoria denuncia negócios "questionáveis" do Sporting com agentes e fundos" [Audit denounces "questionable" Sporting businesses with agents and funds]. Expresso (in Portuguese). Retrieved 5 June 2018. ^ "Auditoria à gestão do Sporting conclui que quiseram acabar com o ecletismo" [Audit to the management of Sporting concludes they intended to end with the club's eclecticism]. Diário de Notícias (in Portuguese). 27 September 2015. Retrieved 5 June 2018. ^ Vaza, Marco (28 June 2015). "Godinho Lopes expulso do Sporting por infracções "muito graves"" [Godinho Lopes expelled from Sporting for "very severe" wrongdoings]. Público (in Portuguese). Retrieved 5 June 2018. ^ "Sporting vence Belenenses e garante segundo lugar e acesso direto à "Champions"". www.jn.pt. 23 December 2015. 19 April 2014. Retrieved 19 April 2014. ^ "Sporting vence no Restelo e assegura entrada direta na "Champions"". TSF. 19 April 2014. Retrieved 23 December 2015. ^ "Sporting win dramatic Taça de Portugal final on penalties". www.portugoal.net. 31 May 2015. Retrieved 26 December 2015. ^ "Sporting vence Taça de Portugal". pt.uefa.com. UEFA. 2015-05-31. Retrieved 2015-11-24. ^ "Festa de Alvalade termina com invasão de campo". www.ojogo.pt. Jornal "O Jogo". 2015-05-31. Retrieved 2015-11-24. ^ "Benfica to Sporting is just a six-minute drive but Jorge Jesus' journey is one of the most controversial moves in football". www.dailymail.co.uk. Joe Bernstein. Retrieved 23 December 2015. ^ "Os sete espinhos de Jesus". expresso.sapo.pt. Nicolau Santos. 1 July 2015. Retrieved 23 December 2015. ^ Silva, Susana (9 August 2015). "Sporting vence Benfica (1–0) e conquista oitava Supertaça". www.jn.pt. Retrieved 23 December 2015. ^ Reuters (15 May 2018). "Sporting players, staff attacked by hooded supporters at training ground". As. Retrieved 16 May 2018. ^ "Jesus e jogadores agredidos na Academia" [Jesus and players attacked at Academy]. A Bola (in Portuguese). 15 May 2018. Retrieved 16 May 2018. ^ "Bruno de Carvalho confirma nove rescisões" [Bruno de Carvalho confirms nine rescissions]. SAPO Desporto (in Portuguese). 14 June 2018. Retrieved 15 June 2018. ^ "Todo o filme da Assembleia Geral que afastou Bruno de Carvalho da presidência" [The entire film of the General Assembly that took Bruno de Carvalho away from presidency]. A Bola (in Portuguese). Retrieved 24 June 2018. Oficial: Bruno de Carvalho já não é presidente do Sporting, depois de o 'sim' à sua destituição ter recolhido 71 por cento das preferências dos sócios. 28 por cento dos sócios pretendiam a continuidade do ex-presidente do clube de Alvalade. ^ "Benfica 7–2 Sporting". zerozero (in Portuguese). Retrieved 24 June 2018. ^ "Benfica 5–0 Sporting". zerozero (in Portuguese). Retrieved 24 June 2018. ^ "Sporting deu 7–1 ao Benfica há 25 anos". desporto.sapo.pt/. sapo.pt. Retrieved 17 June 2016. ^ Pimentel, Tiago (12 June 2018). "Uma "pequena loucura" ou um novo "Verão Quente"?" [A "little craziness" or a new "Hot Summer"?]. Público (in Portuguese). Retrieved 19 June 2018. ^ "Benfica-Sporting: "Queiroz foi o responsável pelos 6–3"". relvado.aeiou.pt. Lusa. Retrieved 26 November 2015. ^ "Sporting-Benfica, 3–6: Pesadelo em Alvalade com génio à solta". www.record.xl.pt. Retrieved 26 November 2015. ^ "Gullit e very light incendiaram o último Sporting-Benfica". www.sabado.pt. Retrieved 30 November 2015. ^ Roseiro, Bruno (5 May 2018). "Um dérbi é sempre pela honra e não pelo dinheiro mas há mais milhões em jogo do que se possa pensar" [A derby is always for the honour and not money, but there are more millions at stake than one can think of]. Observador (in Portuguese). Retrieved 24 June 2018. ^ Gannon, Willie (3 May 2013). "Dortmund vs. Bayern Munich and Europe's 6 Premier Rivalries Right Now". Bleacher Report. Retrieved 7 January 2016. ^ "Benfica: deselegância, catering e speaker justificam interdição de Alvalade" [Benfica: inelegance, catering and speaker justify interdition of Alvalade] (in Portuguese). Maisfutebol. 13 February 2015. Retrieved 13 January 2016. ^ "Tarjas, cânticos, very light e desvio de jogadores: esta é a história de uma rivalidade sem fim". Jornal Observador. Retrieved 20 April 2017. ^ "Bruno de Carvalho pede punição para o Benfica". www.dn.pt. Retrieved 30 November 2015. ^ Roseiro, Bruno. "Sporting-FC Porto. Como do clima de guerra aberta nasceu a geringonça contra o "partido" no poder" [Sporting-FC Porto. How the widget against the "party" in power was born from the climate of war]. Observador (in Portuguese). Retrieved 19 October 2018. ^ "Sporting Clube de Portugal". Sporting.pt. Archived from the original on 17 October 2012. Retrieved 4 November 2016. ^ Kundert, Tom (2 December 2015). "Meet Sporting's exciting wing duo who could be the new Ronaldo and Quaresma". fourfourtwo.com. Retrieved 12 June 2016. ^ Clapham, Alex (2018-02-16). "Inside the Sporting Lisbon academy, where Ballon d'Or winners are made". the Guardian. Retrieved 2018-07-27. ^ Perez, Francisco. "Euro 2016. Um campeão europeu com uma equipa ""made in"" Sporting". PÚBLICO (in Portuguese). Retrieved 2018-07-27. ^ Group, Global Media (2018-06-27). "O clube que formou mais jogadores para o Mundial? Sporting bate Barcelona". DN (in Portuguese). Retrieved 2018-07-27. ^ a b c uefa.com. "Sporting CP – UEFA.com". Uefa.com. Retrieved 4 November 2016. ^ "Plantel". Sporting Clube de Portugal. Retrieved 1 February 2016. ^ Claro, Paulo (5 June 2014). "Portugal – List of Topscorers". RSSSF. Retrieved 8 February 2015. ^ Arotaritei, Sorin; Di Maggio, Roberto; Stokkermans, Karel (20 November 2014). "Golden Boot ("Soulier d'Or") Awards". RSSSF. Retrieved 8 February 2015. ^ "African Footballer of the Year Winners". Reuters. 1 March 2007. Retrieved 8 February 2015. ^ Kyuchukov, Nedko (30 April 2003). "Balakov says goodbye". UEFA. Retrieved 8 February 2015. ^ "Slimani wins Algerian Ballon d'Or". AfricanSoccer. 18 December 2013. Archived from the original on 24 January 2015. Retrieved 8 February 2015. ^ "1994: Luís Figo". UEFA.com. 1 June 1994. Retrieved 21 July 2015. ^ "William named U21 EURO player of the tournament". UEFA. 1 July 2015. Retrieved 1 July 2015. ^ José Luis, Pierrend (16 January 2015). "FIFA Awards". RSSSF. Retrieved 8 February 2015. ^ "Cradle of the stars". UEFA. Retrieved 8 February 2015. ^ "Luis Figo". Footyroom. Retrieved 8 February 2015. ^ Silva, Rui (20 November 2014). "Portugal – Footballer of the Year". RSSSF. Retrieved 8 February 2015. ^ "England Player Honours – World Soccer Players of the Century". Retrieved 21 July 2015. ^ "Governing Bodies". Sporting.pt. Archived from the original on 27 October 2011. Retrieved 1 April 2013. ^ "Leões de Portugal". Sporting.pt. Archived from the original on 29 May 2013. Retrieved 1 April 2013.